Background: Vascular access is a necessary prerequisite for REBOA placement in patients with severe hemorrhagic shock. Methods: During an EVTM workshop, 10 Special Forces (SOF) medics, five combat nurses, four military nonsurgeon physicians, and four military surgeons participated in our training program. The military surgeons functioned as the control group. A formalized curriculum was constructed including basic anatomy and training in access materials for resuscitative endovascular balloon occlusion of the aorta (REBOA) placement. Key skills were (1) preparation of endovascular toolkit, (2) achieving vascular access in the model, and (3) bleeding control with REBOA. Results: The baseline knowledge of anatomy for SOF medics was significantly less than that for nurses and physicians. Medics had a median time of 3:59 minutes to sheath insertion; nurses, 2:47; physicians, 2:34; and surgeons, 1:39. Military surgeons were significantly faster than medics and military nurses (ρ = .037 resp. 0.034). Medics had a median total time from start to REBOA inflation of 5:05 minutes; nurses, 4:06; military physicians, 3:36; and surgeons, 2:36. 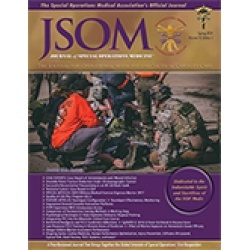 Conclusion: This study showed that a comprehensive theoretical and practical training program using a task training model can be used for percutaneous femoral access and REBOA placement training of military medical personnel without prior ultrasound or endovascular experience. Higher levels of training reduce procedure times.